As it was, the Jazz had more than enough to overcome the one-man show, taking care of business and cruising to a 125-92 victory. 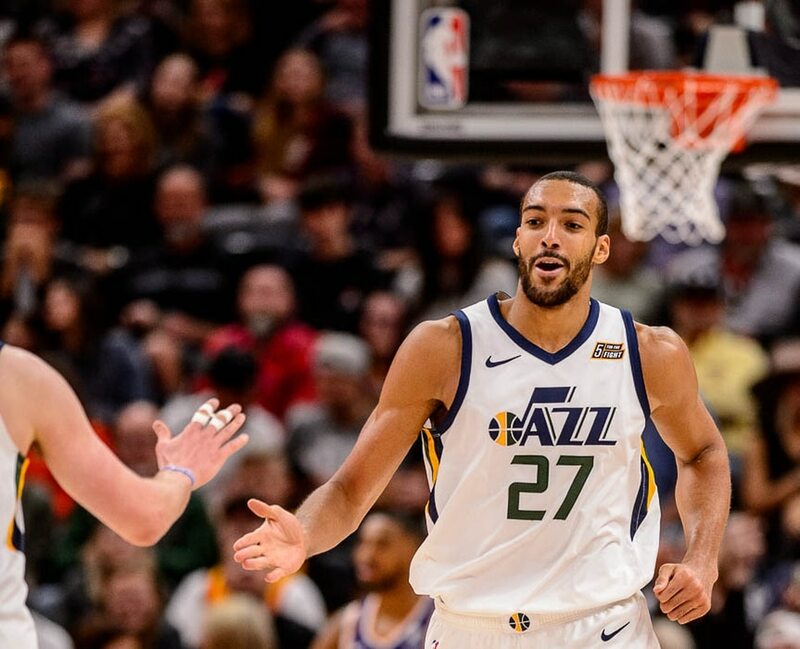 The win was Utah’s seventh in its last eight games, and improved the team’s record to 44-30 on the season, drawing the Jazz into a tie with the Clippers for fifth place in the Western Conference. Still, it did take them a minute or 12 to get fully revved up against the Suns. The Jazz led only 26-21 after the first quarter in spite of Phoenix committing eight turnovers. Hurting the cause was the Suns making four 3-pointers to the Jazz’s zero, and getting 10 boards to Utah’s six. That’s how it played out, anyway. Utah’s first possession saw Raul Neto blow by Fredette for an and-one layup after getting a push in the back. 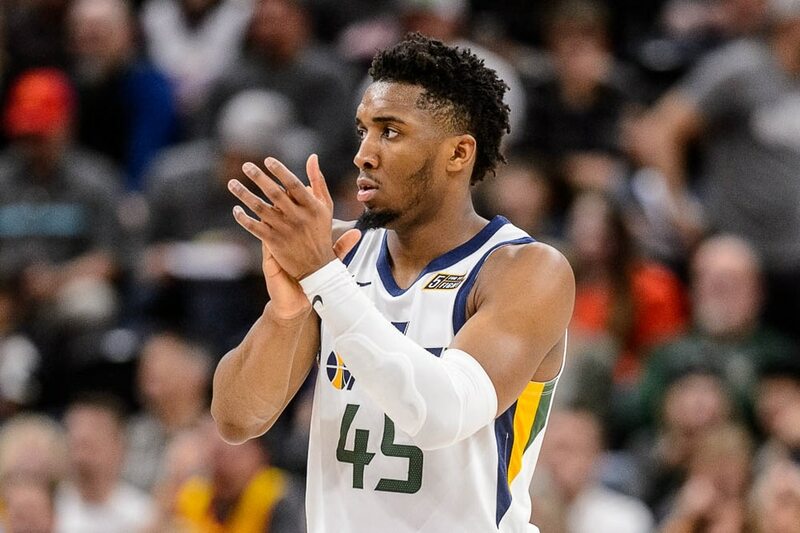 The subsequent meltdown couldn’t be solely attributed to the former lottery pick making just his second NBA appearance since 2015-16, but it did happen on his watch — as a 14-2 run by the Jazz to open the period made it 40-23. It never got closer than 14 points after that. “We were trying to be active, get deflections, get loose balls, make them take tough shots, and obviously get out and run,” said Joe Ingles. All of which they did. And so, pretty much the only intrigue the rest of the way was seeing how many points Booker would wind up racking up — and whether Fredette would score at all. For the record, Booker totaled 59, thanks to shooting 19 of 34 from the field, 5 of 8 from deep, and 16 of 17 at the line. The rest of the Suns had 42 field-goal attempts combined. Coach Quin Snyder was less than enthused afterward about Booker’s outburst. As for Fredette, with the game long over in all respects but time fully elapsed from the clock, Phoenix proceeded to run play after play for him down the stretch in an attempt to get him on the board. He wound up with six points, going 1 of 10 from the field (0 for 5 from deep) and 4 for 4 at the line. He also had one rebound and one assist. For Utah, meanwhile, Rudy Gobert led the way, dominating down low to the tune of 27 points and 10 rebounds. He shot 9 for 11 both from the field and from the free-throw line. Along the way, he became the NBA’s all-time single-season slam dunks leader (though, admittedly, the stat has only been officially tracked since the year 2000). 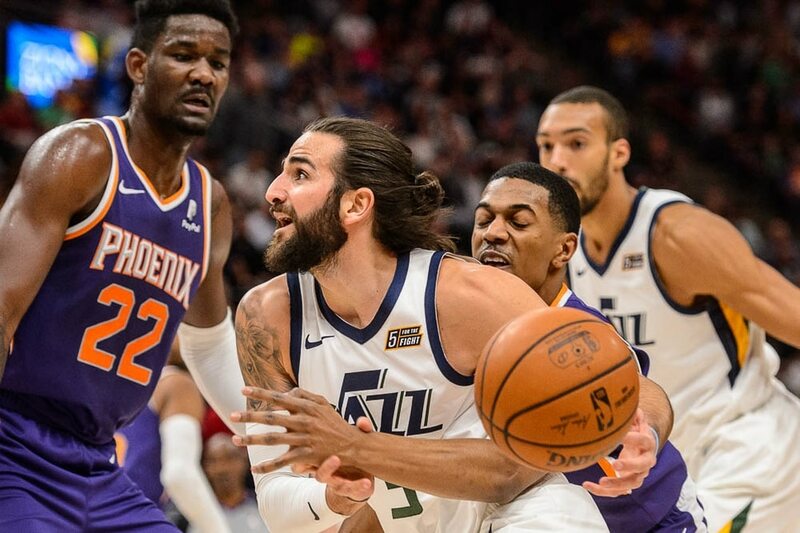 As for those teammates, Favors and Ricky Rubio and added 18 points apiece for Utah, the former also contributing eight rebounds and five assists, while the latter added six assists. Ingles chipped in 14 points and seven assists. Donovan Mitchell had a quiet night — shooting 4 of 14 for 10 points, four rebounds, and three assists. Speaking of which, Utah wound up with 31 assists for the game, compared to only 12 for the Suns, who did not have a player other than Booker score in double-digits. While Snyder was pleased with certain components of the game, and happy to come away with an easy win, he also reiterated that he’s not yet satisfied.